Big Bear is Springing Back to Life! The mountains have been getting warmer in the last few weeks, and with that warmth we are seeing some things we have been missing during the winter coming back. Not just the cyclists, hikers, and flowers, but some great events are kicking off this month as well. The Bear Valley Farmer’s Market returned on Tuesday, bringing back the freshest of produce and products from local southern California businesses. The market will be at The Convention Center every Tuesday morning through October. Moreover, the 2013 season of The Community Arts Theater Society (CATS) with their production of “Mark Twain and the Shakespeare Mystery” is starting this week. It is a one man show where Mr. Twain asks (and tries to answer) the question “Who REALLY wrote Shakespeare’s plays?” On the other hand, the Big Bear Theater Project has just begun their project “The 39 Steps”, a comedic look at the classic Hitchcock film. It will be running for the next two weeks, so make sure you come out to support all of the local businesses and arts in the mountains. The snow going away means that other activities start up around the lake. The fishing tournament season is starting up this month with the first of six Aaron’s Big Bear Bass Tournament on April 21. Prizes are available, and it gives you a chance to get out on the water and start working on your casting technique. Later in the month, on April 19th, Bear Valley Electric Service will be treating us to Earth Day Expo 2013 filled with giveaways, education, entertainment, and food. You can also take a trip to the Big Bear Discovery Center or the Big Bear Alpine Zoo to see all of the changes nature is going through as spring returns to our high altitude neck of the woods. Three distinguished gentlemen in the area, Kurt Madden, Jeff Willis and Bryan Bianchi, are all beating the streets to get votes to become the “Man About Town”, which starts this month. Spring is back! The lake is waking up while the mountains get ready to relax. They get votes through donations, and all of the proceeds go to Stop Teen Violence and Healthy Start, both promoted through Soroptimist International. They are also having fundraising events at various locations around the lake, including the Wolf Creek Wine Room, Chad’s Place, and Azteca Grill among others. You can read more about the times and events through the Big Bear Grizzly, who did an excellent article on it. 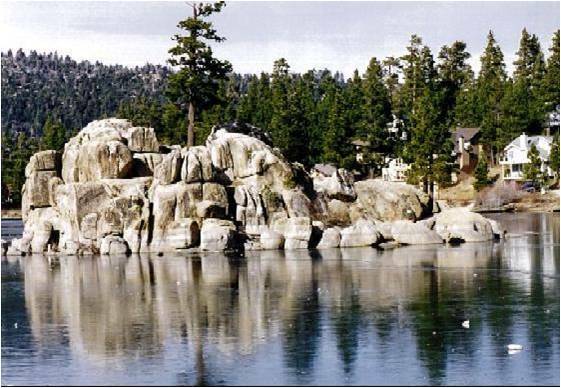 We cannot wait to see you up here for all of the spring activities Big Bear has to offer! Bring up your fishing gear, bicycle, or just walk around the Village and do a little shopping while you are here. Making your Big Bear Frontier reservation early will give you the opportunity to select the right room for you, one that could put you right on the lake! And if you catch an amazing fish or find a magnificent view of the area, you can always share it with us on Facebook. Have a wonderful weekend. Gallery | This entry was posted in What to see and do and tagged 2013, Adventure, April, Bear Mountain, Big Bear CA, Big Bear Discovery Center, big bear lake, big bear mountain, charity, cycling, donations, events, exercise, Farmers' Market, Fishing Tournament, fun, hiking, lake, Man About Town, nature, Snow Summit, snowboarding, spring, theater, travel, walking, weather, What to Do, zoo. Bookmark the permalink.